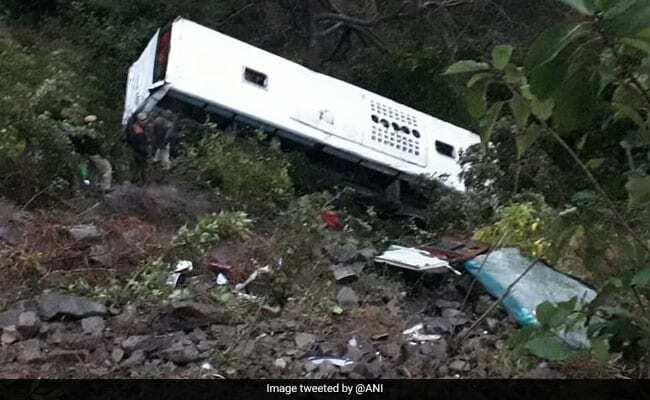 A tourist bus fell off the road in Himachal Pradesh, leaving 26 people injured. Luckily all the passengers were safe and as of now no casualties have been reported. 8 of the injured people have been taken to the PGIMER Hospital in Chandigarh, they attained serious injuries from the horrible accident. 18 of the passengers are currently admitted to a hospital in the Solan District. So far, no official numbers of the passengers have been released by the bus company. In December last year, 4 tourists passed away when a similar accident happened in the Theog District of Himachal Pradesh, all of them were from Haryana. The 4 tourists were on their way to visit Shimla when the accident happened. In November last year, 25 were injured and 9 were killed in a bus accident that happened in Himachal Pradesh’s Sirmaur, the officials said that the bus was over speeding and fell into a river. Officials added that the bus was going to Nahan, the driver lost control of the bus as it was over speeding and fell off the Jalal Bridge.